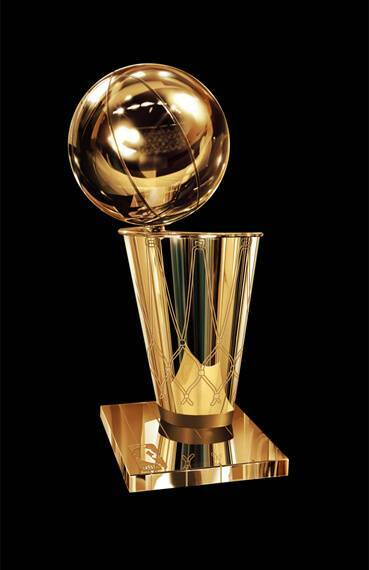 NBA Finals Trophy. Larry O Brien Trophy Replica. 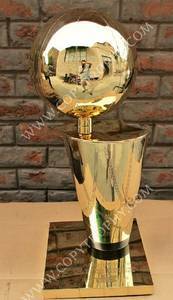 NBA playoffs Trophy Replica. A great case and feedback from an Amazon customer. 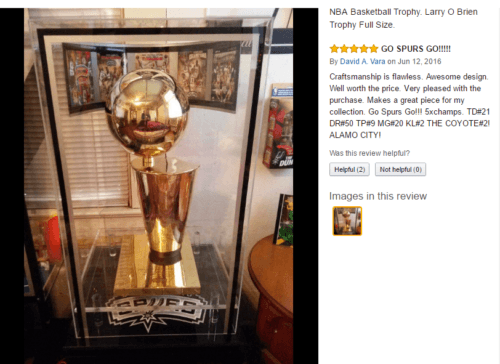 A ONCE IN A LIFE TIME OPPORTUNITY TO OWN YOUR VERY OWN FULL SIZE NBA TROPHY. MADE BY THE VERY BEST METAL SMITHS AND BRASS SPECIALISTS TO BE FOUND ANY WHERE. 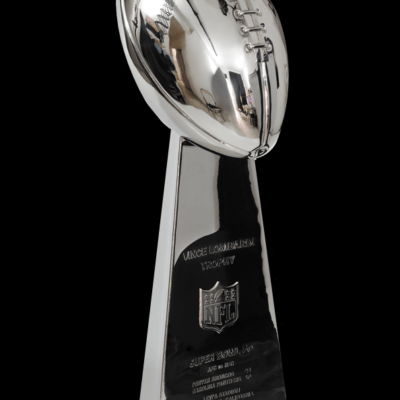 THIS TROPHY IS MADE TO WOW ANY CENTER PIECE. 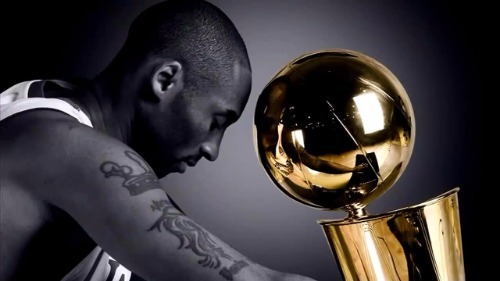 at the conclusion of every NBA season. FEEL FREE TO ORDER NOW, WITHIN 24 HOURS OF CHECK OUT I WILL SEND YOU SEVERAL VARIATIONS OF ENGRAVINGS FOR YOU TO CHOOSE FROM. The current trophy was created in 1977 replacing its predecessor, the Walter A. 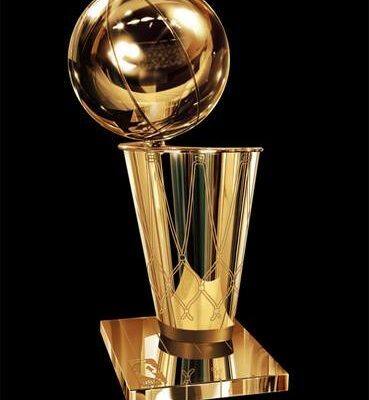 Brown Trophy. 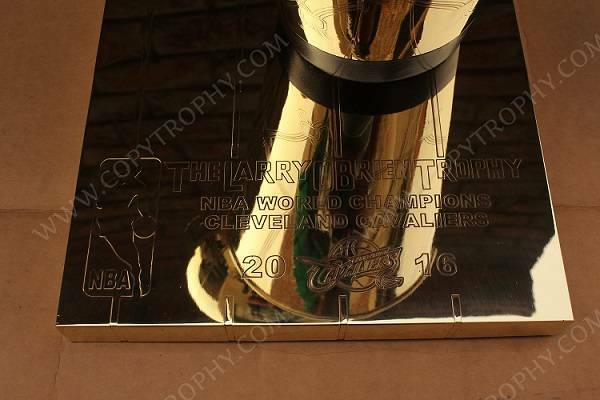 The name of the new trophy design remained the same until the 1984 NBA Finals, when it was renamed in honor of the former NBA commissioner Larry O’Brien, who served from 1975 to 1983. Before joining the NBA, O’Brien was the United States Postmaster General under President Lyndon B. Johnson from 1965 to 1968. 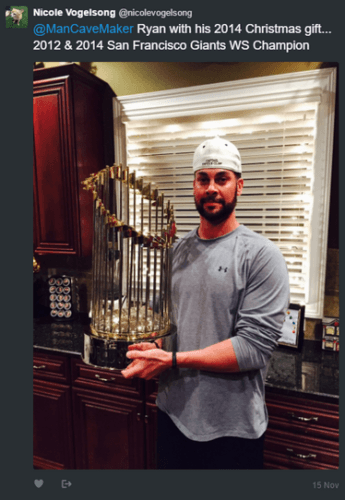 The trophy stands two feet tall. It is designed to look like a basketball about to enter a net. 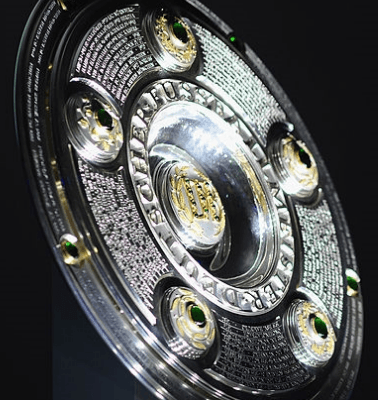 The winning team maintains permanent possession of the original trophy.